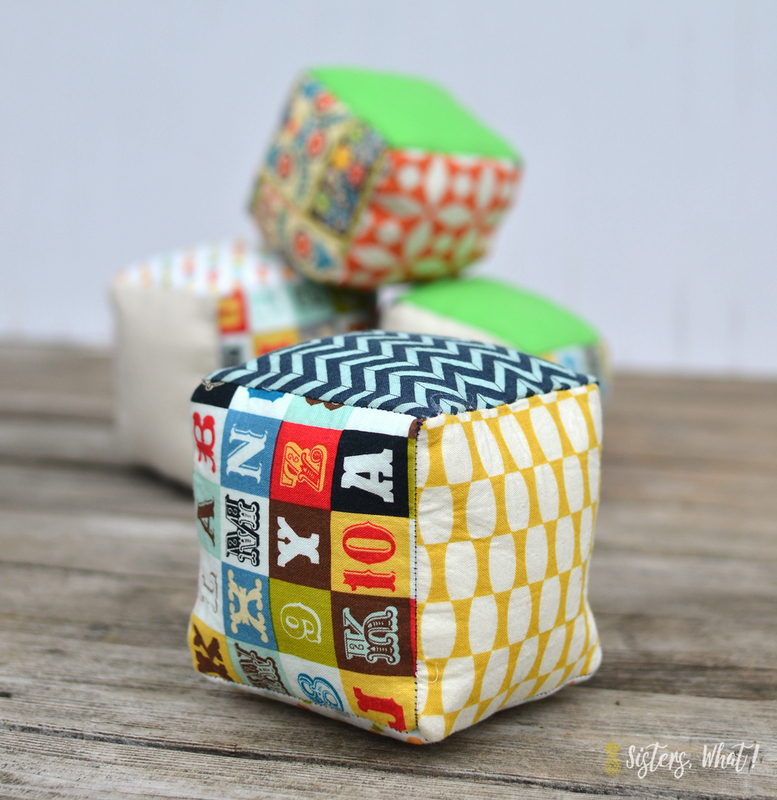 ' Throwback Thursday || Soft Fabric Play Cubes Sewing Tutorial - Sisters, What! 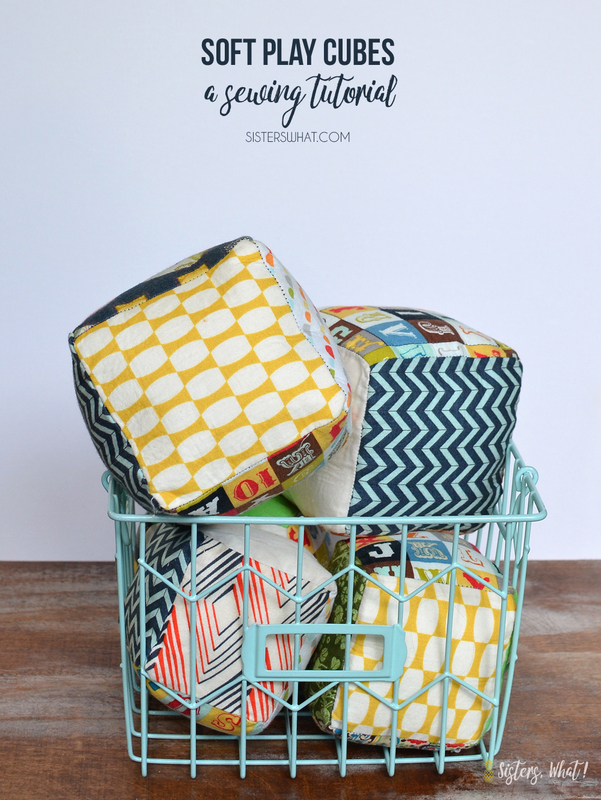 Do your kids like to throw balls and other stuff around the house like my kids? Or does your husband like to throw stuff around the house at your kids ; ) partially joking. I finally made these soft play cubes that are great for ages 1+ and can be thrown at people without the fear of being hurt. That being said, we occasionally still have tears shed but that is more because feelings are hurt, haha. But really, these are really fun and my kids play with them all the time. My husband was a skeptic at first, but now he thinks they're great. 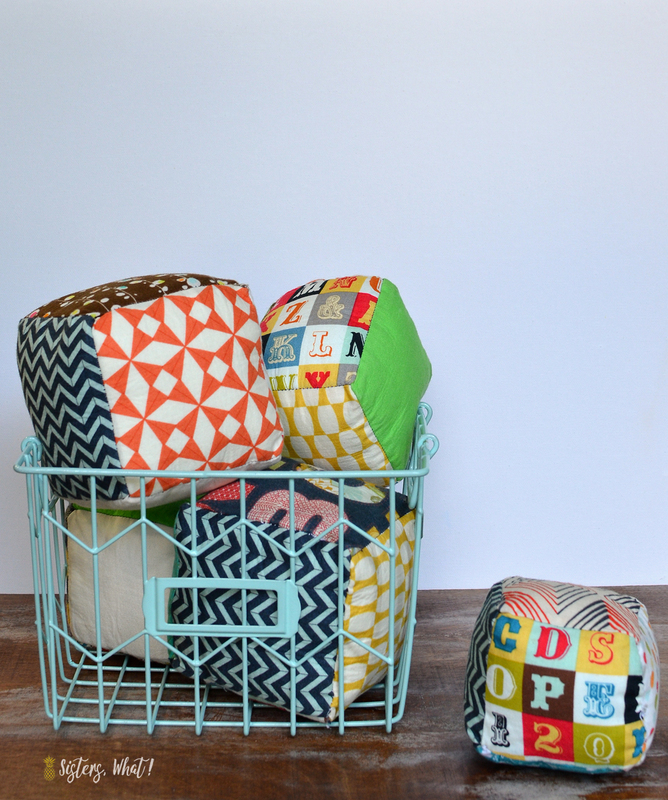 Plus, they are easy to make and perfect to make out of scraps. And you can make different sizes.